The Alfa Romeo 2000 would debut in 1958 to replace the Alfa Romeo 1900. It would be available as a Berlina Sedan or Spider Convertible from its launch. However, from 1960 a new Sprint Coupe designed by Bertone was offered. The Berlina developed 105hp, while the Sprint and Spider models would give 115hp. It is estimated that approx 2814 Berlinas, 3443 Spiders and 704 Sprints were sold throughout production. The Alfa Romeo 2600 would be presented in 1962 as a replacement for the 2000 series. 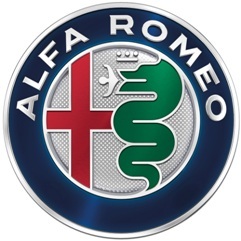 Looking to purchase a classic Alfa Romeo? The 1960 Alfa Romeo 2000 is favored among collectors for providing durability and for the clean styling of the Sprint and Spider models. If youre looking to buy a 1960 Alfa Romeo 2000, be sure to authenticate any potential purchase. If youre thinking about restoring an Alfa Romeo 2000, be sure to explore the availability of parts and focus on finding a body thats in good shape. If youre looking for a fully restored Alfa Romeo 2000, be sure to ask for documentation of the restoration. For more information on the 1960 Alfa Romeo 2000, please contact ER Classics.